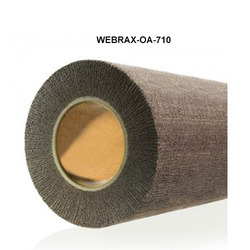 Manufacturer of a wide range of products which include high-density abrasive web, strong abrasive web and abrasive web without abrasive grain for cleaning. We have gained recognition as an eminent enterprise, devotedly engaged in offering a broad range of High-density Abrasive Web that is used for producing structured and matt metal surfaces. This web is designed at our ultra-modern manufacturing unit using the superb quality raw material and progressive technology in conformance with defined quality standards. Being a quality-oriented organization, we assure our clients that this web is excellent on counts of durability and quality. To meet the diversified requirements of our prestigious clients, we are engaged in offering Strong Abrasive Web that is available in a wide variety of specifications as per the exact requirements of clients. Keeping in mind current market development, this web is manufactured by our qualified professionals employing premium quality raw material and modernize tools. Apart from this, our quality inspectors perform a series of test on the entire range ensuring its flawlessness. 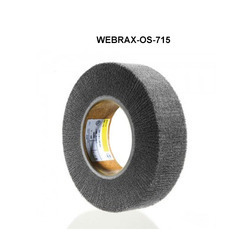 Owing to our extensive years of industry experience and profound market understanding, we are providing a wide gamut of Strong Abrasive Web. It is used for producing structured and matt metal surfaces. The offered range is manufactured utilizing superior quality raw material and latest technology. Moreover, a team of our quality controllers conducts a series of quality tests on the entire range to seek out any possible defect. In tune with industry standard, we provide the entire range in various customized options and industry leading prices.